The percentage of Americans who consider themselves Republican or lean that way has dropped sinceDonald Trumpwas elected president, a Gallup poll found. Those identifying with the Democratic Party have held steady. 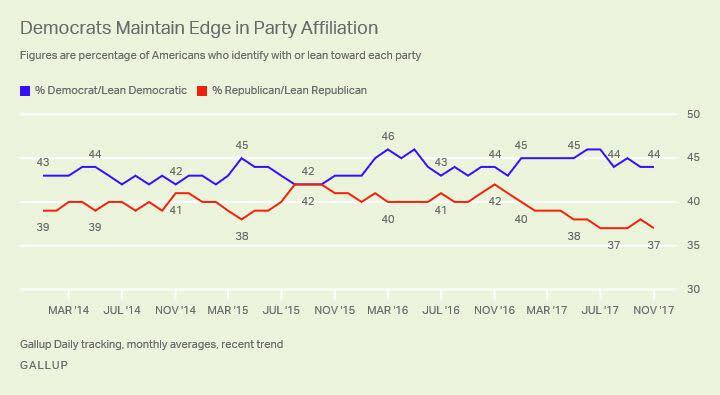 The percentage of people who identify as or lean Republican has fallen 5 points from 42 percent of the population to 37 percent, according to the poll comparing November 2016 with November 2017, which was released last week. The percentage of voters identifying as Democratic has remained at 44 percent. The lower numbers could be a cause for alarm for the GOP in midterm elections next year. The most dramatic dip for Republican numbers was among white women: The percentage identifying with the Republican Party fell 5 points from 37 percent to just 32 percent over a year, according to anNBC News report, which further broke down Gallup’s data by demographics. The number of Hispanics who identify with the GOP has dropped 3 percent. Intriguingly, there has been a 1 percent increase in African Americans who identify with the GOP, Gallup found. But that number was extremely low to begin with: Only 10 percent of black Americans considered themselves Republicans a year ago. College graduates saw a 4-point dip in identification with the GOP, while those without a bachelor’s degree saw a 5-point drop. There are now more Americans who consider themselves independents with no leanings toward either party (14 percent, compared with 10 percent a year ago), or do not have an opinion (5 percent, compared with 4 percent last year), Gallup found. 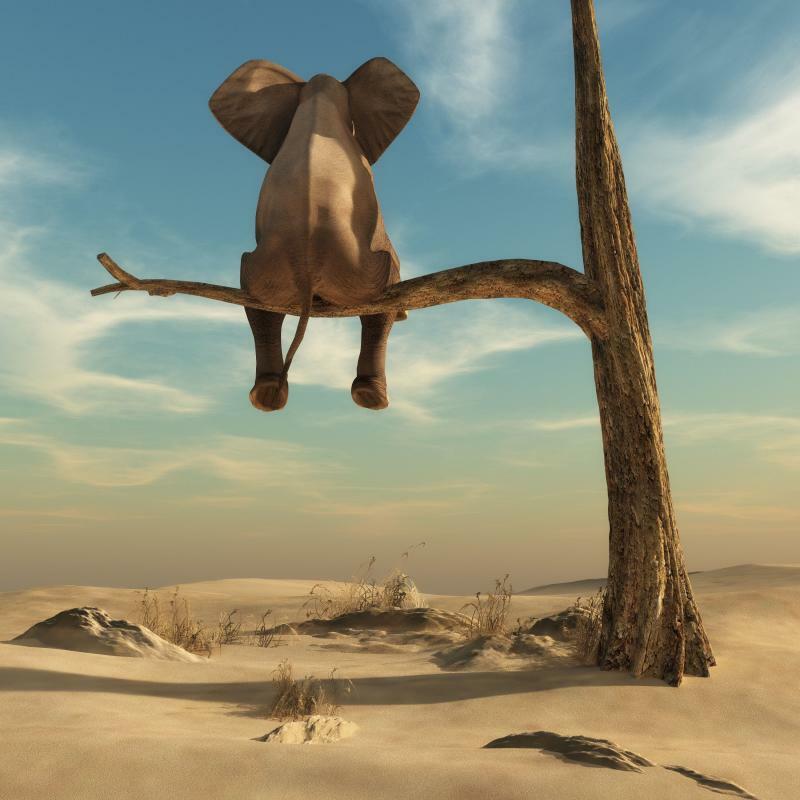 Those identifying with the Democratic Party have maintained an edge over followers of the rival party throughout the year from 5 to 9 points because GOP affiliation has dropped. The percentage of those who consider themselves Democrats or leaning that way has led or tied those identifying as Republican for the past ten years. The latest figures, based on Gallup Daily tracking interviewing throughout November, are based on information from more than 14,000 American adults.